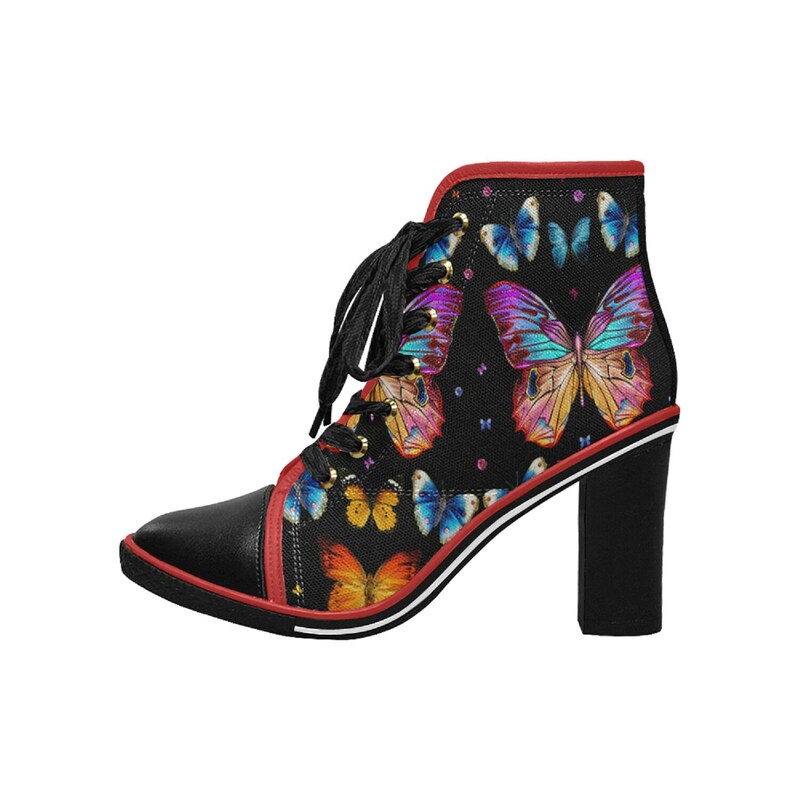 Women's chunky black heel boots. 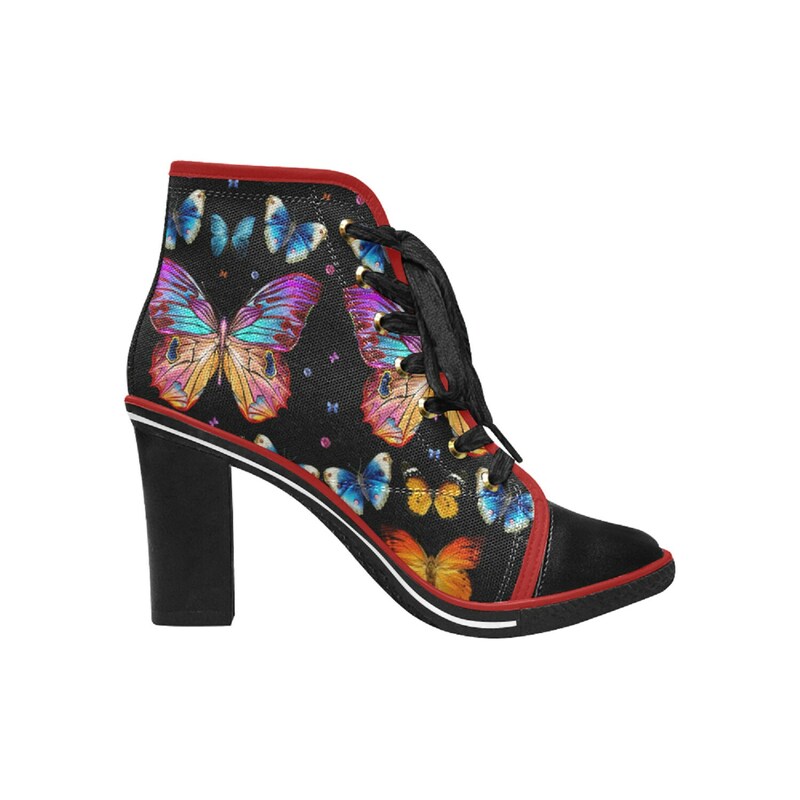 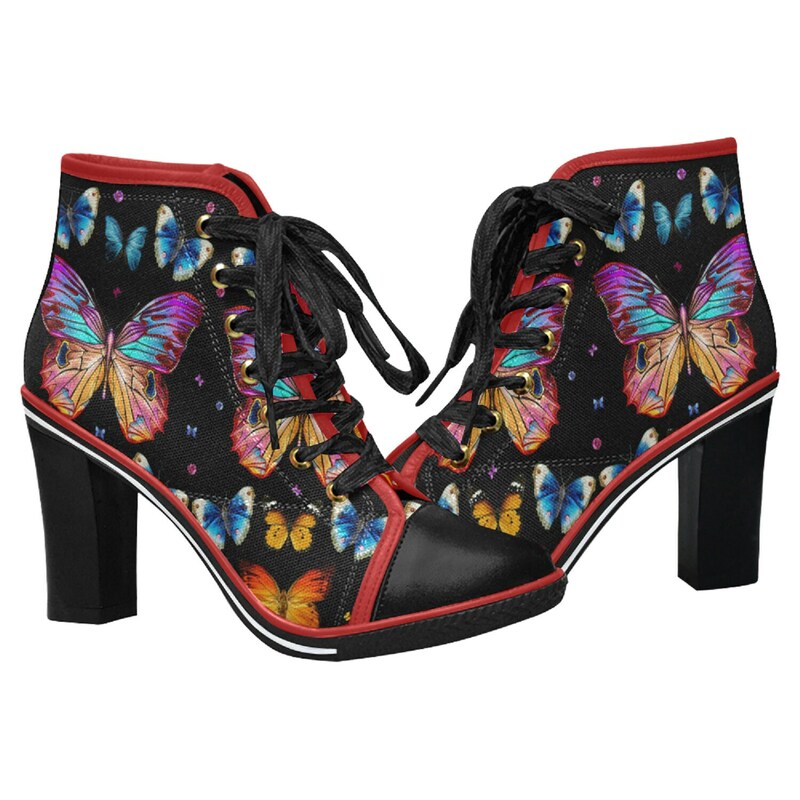 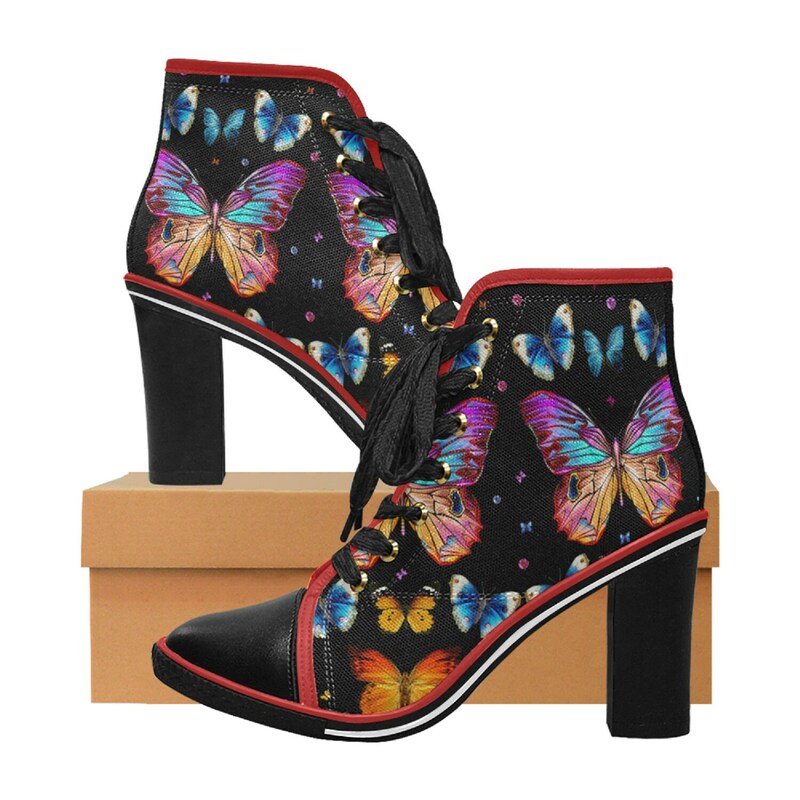 Red trim and colorful butterfly print. 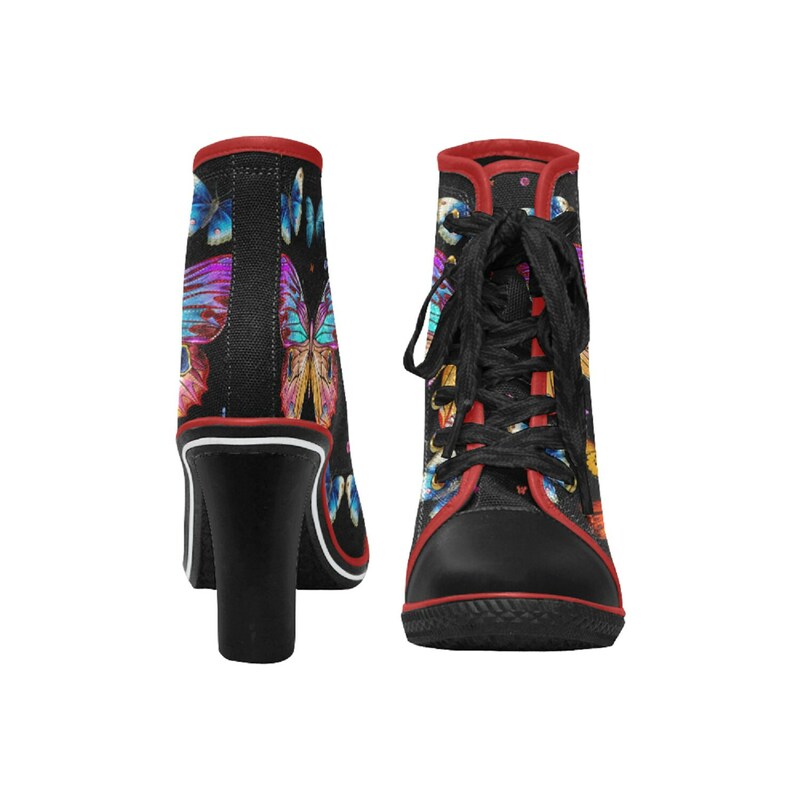 Sizez 6, 6.5, 7, 8.